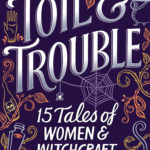 *shakes dust off blog* Hi! I’m so excited that both of my 2016 releases are now out in the world! I spent the spring focusing on promoting both WILD SWANS and A TYRANNY OF PETTICOATS at a bunch of amazing book festivals. It was so exciting to meet enthusiastic readers, librarians, teachers, bloggers, and booksellers. Now I’m home for the summer and diving back into upcoming projects! 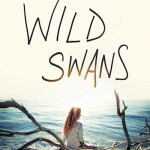 I’m drafting a new contemporary YA, which I hope will be a companion to WILD SWANS. 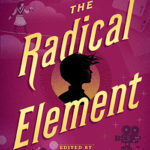 And our short stories for THE RADICAL ELEMENT are due July 1, so soon I’ll be in editing mode. In the meantime, though, I wanted to be sure to say thank you to all of the amazing readers who have taken the time to read and review WILD SWANS. 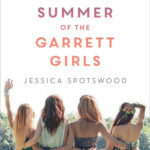 It’s a quiet, character-driven kind of book, and those don’t always get a lot of attention. But I am so proud of it, and I love it a lot. 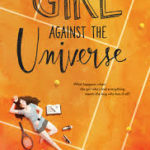 Ivy is the character I’ve written who’s most like me: a perfectionist, eager to please, bookish, finds it hard to stand up for herself, worries that she’s not enough for all of her big dreams. I put a lot of my own fears and vulnerabilities into her, and it means an awful lot whenever readers identify with her. It’s a little bit like you all are cheering me on, too. And I know there are so many books competing for your time. The other day I legit panicked a little because there are so many books and not enough time for me to read them all. My TBR is two full bookcases spilling over, and stacks on pretty much every table. So I get it. You can’t read everything. And I really, really appreciate it when you choose to read one of my books. I appreciate it even more when you take the time to review it afterward. 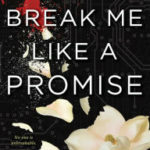 Reviews are so important – especially on Amazon, where I understand that having 50 reviews can increase a book’s chances for being included in “if you liked this, you might also like this…” type of algorithms that can help new readers discover the book. So. As a thank-you for taking the time to read and review WILD SWANS, I want to do a giveaway. 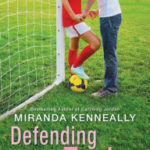 The Grand Prize will be three amazing books by three amazing writer friends of mine: DEFENDING TAYLOR by Miranda Kenneally, GIRL AGAINST THE UNIVERSE by Paula Stokes, and BREAK ME LIKE A PROMISE by Tiffany Schmidt. 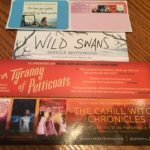 But everyone who enters will get a prize: a swag pack from me, with bookmarks for all 5 of my books, a signed bookplate, and a WILD SWANS sticker. Second, if you’d like the swag pack, fill out this Google Form with your address, and then look forward to getting some mail. Heyyyy I was just wondering if you are doing a sequel to Wild Swans? I think it’s cool how there isn’t a sequel because it makes the book better in my opinion but then again I want more! So ya!